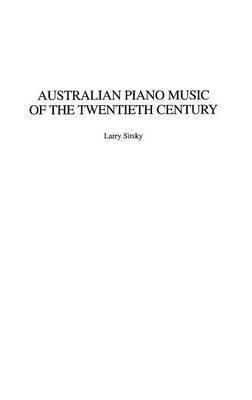 This is the first book to comprehensively cover all of the Australian piano music of the 20th century. It is lavishly illustrated with over 300 music examples, giving a very clear picture of the various composers and styles. The composers are listed within various historical and stylistic blocks as well as within consideration of their own pianistic prowess. The large number of scores will help future researchers as well as recording and concert pianists who are searching for new and exciting repertoire. This is an invaluable book certain to appeal to music lovers, the professional musician and amateur, and students. In fact, anyone interested in the piano and its historical evolution will appreciate this volume.